How do Amorphous panels compare to 24% Sunpower panels? I’ve haven’t seen any comparison on these from the Amorphous supporters. Do you have a link to the exact panels you’re talking about? The % efficiency is irrelevant. 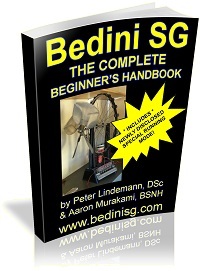 You have to consider their ability to also produce electricity in low light conditions and in the case of amorphous or cigs panels, they produce electricity from sunrise to sunset and the crystalline panels cannot so even with a higher % efficiency for crystalline, they actually wind up giving you less throughout the day. See the spectrum these cells use. 555x288x3mm to pit it against a high efficiency 25W (+23%) Sunpower panel. The SunPower ones are really great for crystalline. You can see the propaganda however in their literature on the link about how they are 100% more efficient than amorphous. The whole industry is singing the same tune and it is a complete deception. That only applies as stated many times under full direct sun but as soon as you shade a portion of the crystalline panel or go into full low light conditions, the amorphous over the whole day still gives more electricity. It’s the Tortoise and the Hare – the crystalline is the quick fast hare but in the long run the amorphous Tortoise wins in the end. I don’t have anything against crystalline panels, I just don’t like the half-truths that these companies pump out to an unsuspecting public. With that said, if I had to go with crystalline, I’d of course want the highest efficiency panels I could get since they’d be as small as possible. I have found these small and portable 8W CIGS panels although 12,5% efficient. I am selling 6.5 and 13W portable Sunpower USB charging kits and always looking for the best technology for our products. If you manage to find a supplier able to deliver higher 17.5% CIGS please let me know. If you manage to find a supplier able to deliver higher +14% CIGS please let me know. I’ve since received a PI from this company. Interesting, the efficiency of Thin Film has doubled! Those cigs are so good because they are really a hybrid mixture where they produce electricity in the full range, not only the visible spectrum but also infrared so best of both worlds. How do Amorphous panels they compare to 24% Sunpower panels? Sounds like the movie: “Who Killed the Electric Car” in which Stan and his wife get highlighted for their contribution to the solar and NiMH industry, but then it all goes sour. Wish I had something nice to say about this….maybe, it’s darkest before the dawn? Is that nice? NiMH industry is not really relevant anymore with Lithium Titanate (+25.000 charge cycles and about the same safety specs at LIFEPO4). Its support high current recharging and discharging (pre-capacitor like). Until these other batteries are available to the masses at low cost, lead acid, nicad and nimh will be here to stay for a very long time. lifepo4s prices are kept artificially high and until this kind of stranglehold on the battery market has some kind of revolution, none of these batteries will do us much good. I’d like to put LiFePO4s in my home instead of lead acids for solar storage, but the prices are so ridiculous that it makes it difficult. Even with the higher prices, we still come out ahead in the long run, but the prices should be a fraction of what they are. Lifepo4 has +3000 chargecycles, lead acid has +-200 chargecycles. I use them in my portable solar system, due to 1/3 the weight ratio and high energy density. Costing me about $100 per 100W/h. When weight is not an issue, I would look towards NIFE batteries, since they last +25 years. I’ve been researching those Tesla Chargers and experimented with Joule Thief chargers like the Rene Charger and the more advanced ones Sohei made. I charge my Alkaline batteries with them, lots of fun being able to re-use those for a couple of times. Can you extend the life of lead acid batteries past those +200 charge cycles at above 80% which are being deep cycled as a solar storage medium with those Tesla Chargers you sell? I’m an inventor like you guys, and I now have a basic elecricity home generator for RURAL areas or off grid ecovillages. Allen, I am Steve Hargis and I am constantly updating the technology of my “OFF Grid” grow units and I am interested in your stove. Please send info to my direct email address; shargis60@yahoo.com and you may be interested in our projects concerning Food and Water Security as well as the most intensive Re-forestation concept. Hi Allen, if you want to share it publicly, you can post it in http://energeticforum.com or email us at Tesla Chargers the details, pics, etc… and I can post it somewhere for everyone to see. Actually I’m looking for a financial partner, and all I ask is a monthly salary of $1000 and the right to sell the DIY “E BOOK’. I need a salary to work full time on furthering the development on the steam side which includes direct 220 AC as well as a steam fuel cell and steam and fire free fuel bricketts. Also..hydrogen from plants and sun needs distilled water and that is a byproduct of my stove. Why in this website said the polycrystalline cells is 13%~15%, but Amorphous panels only 8%? That website needs a product update. and CIGS + cadmium telluride are in the 14,5% range. so up to now all this % base on ideal condition. but only amorphous can work under cloudy day and more efficiency if count by whole day? That website is definitely old. 24% for a crystalline panel is really high for something commercially available. Jeff – those % are definitely ideal conditions of direct bright sun and yes, amorphous and cigs are able to put out more under cloudy days and put out more over a whole day. The crystalline structure is such that the panels have to be tilted to be more perpendicular to the sun but with the thin films, the angle can be much more obtuse to they can lay flat on roofs without much loss of effectiveness instead of having to tilt them. That is another one of their benefits of why they’re able to utilize more marginal light than crystalline panels. thank you. I just search China’s factory, still have many of them produce Amorphous panels. I think it’s suitable for my area. pour acheter le chargeur solaire Traker 5 S10A12 je ne peux le régler qu’avec une carte bancaire en euro : 460.24 e et non 507 ! I have the 45 watts Amorphous (3 x 15w) panel + the 3 amp Tesla charger myself. It is NOT correct at all as you say, that Amorphous is better than mono or poly panels. For real life applications, this is as wrong statement as it could possibly be. Amorphous in fact also looses around 10% of their capacity after a while when new and then exposed in the sun for a while. I have found that overall, NOTHING is better than mono crystaline. I have 800 watts of solar power in three separate solar systems. Mainly mono crystaline, but a few poly crystaline and also a few Amorphous panels. Only one of these type I will never ever buy again; The Amorphous ones. Why? They are too big and does NOT held their specs even in full sunlight. At least the 45 portable panel does not hold it’s spec. With the 3 amp Tesla Charger, I never get much more than 20-22 watts out of that 45 watt Amorphous panel. It is easy to see with a Watt’s Up meter connected all the time. I even tried to connect it to a MPPT controller. It was better (watts) but not in any way near 45 watts. Aaron, thanks for all the hard work you do and all your dedication to these important issues today. I purchased an 80 watt Tesla Solar controller. I also purchased 40 X 20 watt amorphous solarpanels, hooked them in parallel but I can only get 255 Watts under full light this time of year. I was expecting much closer to 800 watts. The Voc is 19 to 20 volts each. The Wire size for the first 6 ft is .75mm squared. It Looks to me like -18 guage or 16 guage. After combining 10 panels, I’ve gone up to 12 Guage for up to 12 ft runs. One longer runof 25′, with 10 panels I’ve used #10 Wire. It’s only 3.5 ampsfor that run. I’m using ( 2) 6 volt 225 AH golf cart batteries. Any thoughts are appreciated. These batteries are old and I’m trying to desulsfate them. Is the resistance to high in those batteries? Hi Thomas, the VMP should be minimum 18.5 – that is the loaded max voltage. What is the at 80 watt controller? That is about 6.7 amps. What is the exact controller you have? If you’re trying to put 800 watts of panels on an 80 watt controller, you could fry it. The closest to 80 watts is the 7.5 amp 12v charge controller for LiFePO4 batts. Also, do you have diodes on the leads leaving the panels? You have to make sure the panels can only output and not receive anything. The charge controllers have diodes but it would be a good idea to have them on all panels. You don’t want one panel discharging into another since they’re in parallel. They may have diodes built in, but worth checking. What does the voltage of the batteries do when you have it hooked up? The voltage coming into the controller is 16.9 volts Would that be the VMP? The amps is 15.1. That seems to me to be only about 255 Watts not close to 800. The batteries were charging at over 14 volts. Ok, makes sense on the controller. Is that 16.9 volts that you’re getting under full sun with those panels? The open circuit voltage should be around 22 volts or so and the VMP is loaded max volt, which should be 18.5. That means when you have the panels hooked to a load, the max voltage you should read is 18.5. Actually, 18.5 is what you should have at the controller with full sun on the panels. If you get 16.9, those panels are not rated very well. Any chance to get a refund? Do you have an exact model number so we can see all the specs? You need 18.5 vmp to get the batteries to be pushed to about 15.3 for flooded cells on that controller. If you have less than 18.5 vmp, then the panels will never allow the batteries to receive a true topping charge. 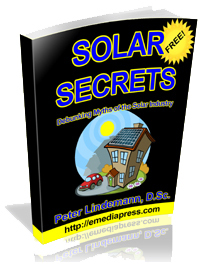 Did you read the free Solar Secrets book? Yes Aaron, I have solar Secrets, thanks. I will have another Look at it. The solar panels are Coleman model 51820. I Looked at the specs. The rating For MPPV is 15V , OCV is 23V (I saw no VMP rating). The short Circuit Ampherage rating is 1.33 amps. Incidently, if I take that 1.33volts ×15 amps, I get the rated 20 Watts but the most I have measured is 1/3 of that, or .33 watts each. After work today at 3:30 pm in the sun, I saw 17.7 Volts into the controller and14.5 V out to the batteries. The OCV was 23.3 Volts when I disconnected the controller. The sun was at an angle. I will try to get a reading earlier in the day, to see if it will reach 18.5 volts. I’m concerned that I may not have high enough Voltage for long enough during each day to top the batteries. Perhaps one of The new Tesla Solar controllers would help with my problem? This is all new stuff to me. Sometimes living and learning can be expensive. You mean 1.33 amps at 15 volts. Are you able to get your money back for the panels? Too many companies make panels too low in vmp because they actually don’t know anything about lead acid battery chemistry. The harbor freight 45 watt panel set (15 watts) each are perfectly rated actually, but it takes quite a few to get that wattage up. You can’t use cap dump with these controllers. We don’t have another charger that can make use of panel voltages that are too low. The solution is to return those panels, get your money back and get panels that are rated high enough to actually top the batteries. I wanted to share some encouraging news. I found a few of my 40 pannels were Low on OCV. I removed those from my aray and the voltage is now up to 18.2 volts. The batteries I am using are old, with more desulfation I’m hopeful all will be well. Aaron. This is exciting stuff to me! Great to hear! Interesting that if they’re in parallel and you removed some that it made a difference. In any case, 18.2 vmp is really good! 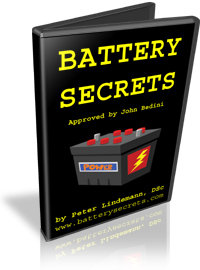 I also have the Solar Secrets book and love all Tesla info and devices. Here is my point, in Oklahoma there is a Native American organization called NAYBSEC. NAYBSEC is a 501 (C) 3 organization dedicated to demonstrating new & advanced sustainable technologies that can and/or will have agriculture applications. NAYBSEC, was able to obtain the professional Ag based research facility as a result of the USDA abandoning there facility based in Lane, Oklahoma, because of the $190.000.00 a year (ENERGY) cost. NAYBSEC will be retrofitting this facility beginning 01-2016 and we are very interested in working with the Tesla group & any associates that can benefit from this “High Profile” project. Anyone requiring (reduced) cost research and laboratory space should contact NAYBSEC, asap. NAYBSEC is and will continue to work with tribes, Veterans, women, 4-H & FFA organizations from the South Central and South Western regions, of the US, to promote (Sustainable Ag and Energy) technologies. NAYBSEC is currently seeking individuals & small companies that possess “advanced” sustainable technologies to occupy & work with NAYBSEC. NAYBSEC will also be offering 3rd party (certification) for devices and processes that SOLVE environmental problems. Please review; http://www.naybsec.org and the LinkedIn profile of their founder and legal council, LV Watkins, of Muskogee, Ok. Thank You, Col. Steve Hargis strong & proud supporter of NAYBSEC & the Promise Zone region, of Oklahoma. After reading your column here “Crystalline Vs Amorphous Solar Panels” before Christmas 2016, I set out to find some solar panels or cells to take advantage of the ‘total output’ factor that you and others elsewhere have mentioned. Just like you have mentioned and hinted, I concur there is a scam to do away with competing technologies of silicon based cells. Anyway, I have found a source in your country, of rare and out-of-manufacture solar cells (CIGS). These are from a solar company that also went “belly up” – Nanosolar. These are 2.6 Watt cells and are on an Aluminium back, making them some-what “flexible” in nature. Last time I looked, they still have some 1,000s of cells left in their warehouse for sale. and Here is the details link –>> http://www.ebay.com/itm/Nanosolar-NanoCell-10-Qty-2-6-Watt-Lightweight-Flexible-CIGS-Solar-Cell-26W-/151472511381?hash=item2344771995:g:6JgAAOSwd0BVpqX8 for you to peruse. Good news for you, They still have enough for you to make several dozens of panels for your customers. I managed to grabbed 70 cells (one batch of 30 and one batch of 40) for a current project and will get more soon (when the missus approves ;-)) ) when funds permit. They are perfect for here, in Australia, with our hot sunny disposition, and also for extreme low light (heavy overcast days). On both purchasing occasions, this was a very pleasant, fast and professional transaction from the company. [recycledgoods.com] I gave them 5 stars in my feedback.